Click to restart after game over. 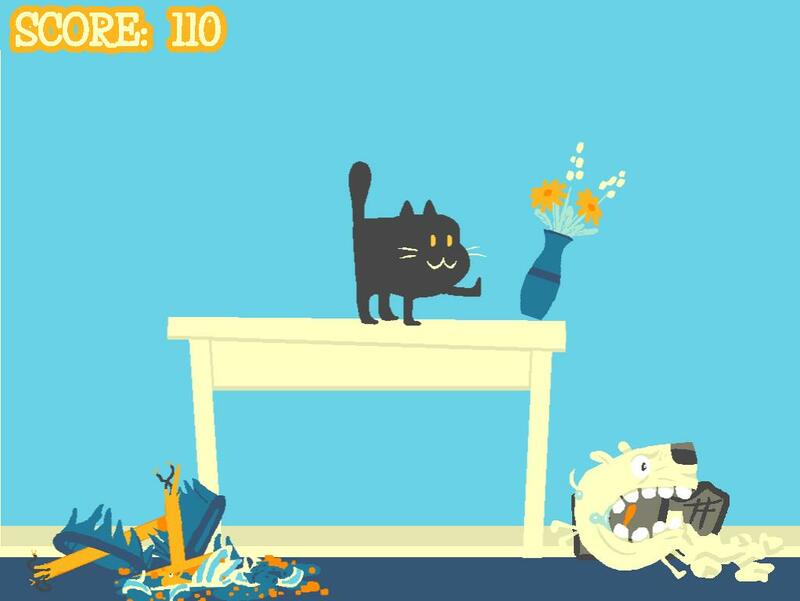 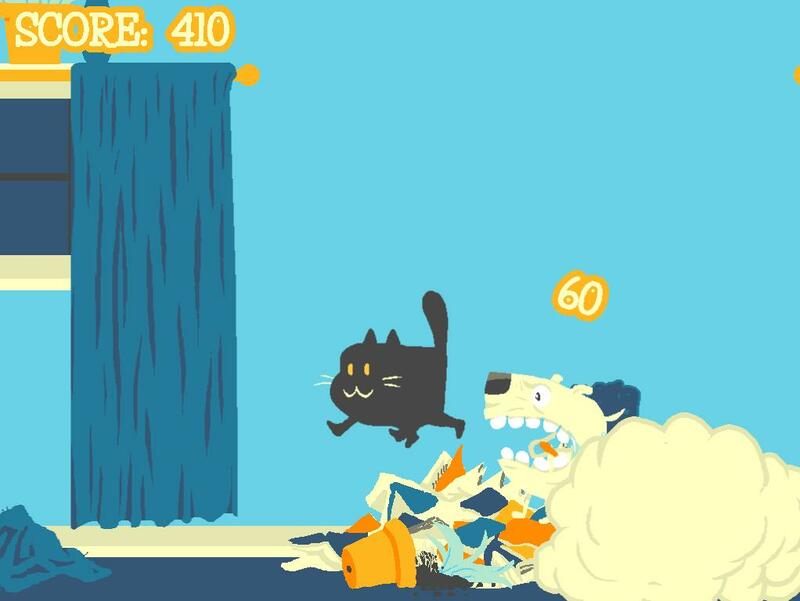 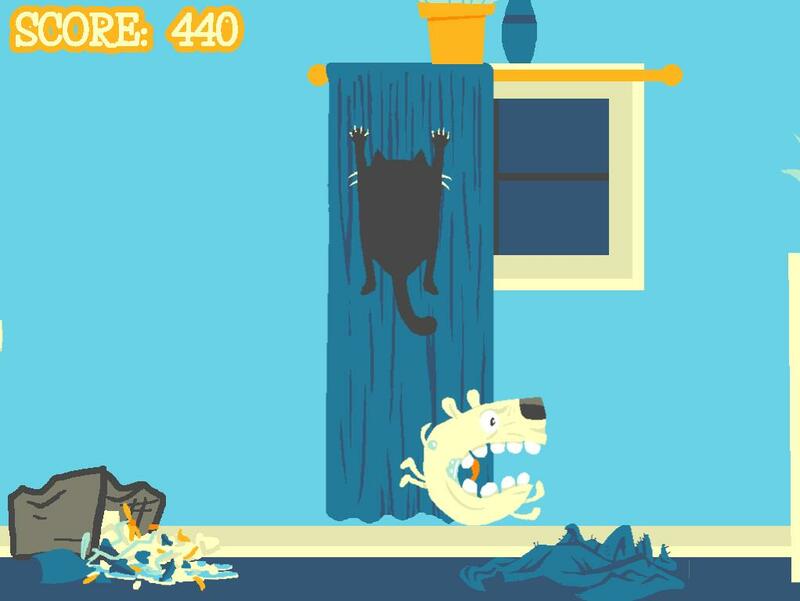 Avoid the dog and taunt him into building up speed and colliding with the furniture. Knock objects onto him for bonus points!